Once again, Tommy’s world famous and all natural margarita mix is in the news, but this time with El Chapo? Watch this funny parody to see the real reason behind El Chapo’s escape! 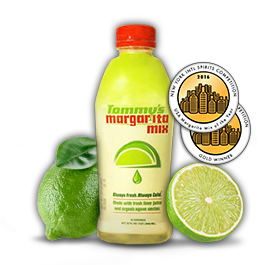 Tommy’s Margarita Mix is made with freshly squeezed organic lime juice, purified water and agave nectar. With no artificial flavors, colors, or preservatives, why wouldn’t we make headlines? Enjoy and remember drink responsibly we want your continued business. Visit our Facebook page, join in on the conversation and like us to learn about great Tommy’s Margarita Mix recipes. Check us out on our Twitter page to get the latest info on Tommy’s Margarita Mix. Tommy's Margarita Mix is the perfect drink to make because it’s 100% natural and delicious — Always Fresh. Always Cold! You'll never miss out on the delicious flavors that choice tequilas have to offer with our carefully crafted mixer.